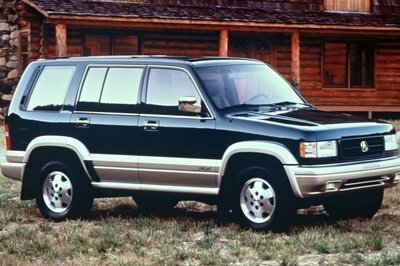 The venerable Chevy Tahoe used to be the go-to family hauler for middle-class folks. 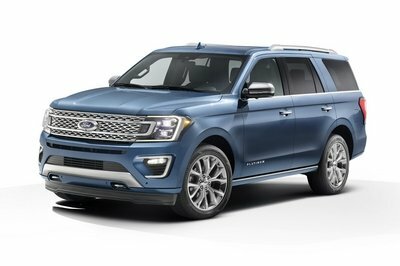 These days, though, prices of this body-on-frame, V-8-powered SUV have skyrocketed beyond what most families are willing to pay. 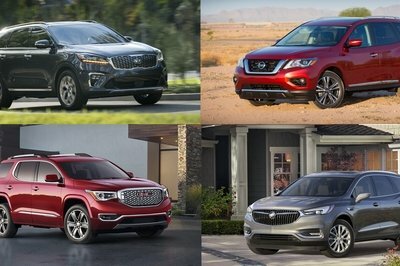 And with the proliferation of crossovers like the Equinox and Traverse, it’s no wonder Chevy pushed the Tahoe up-market. Thankfully, Chevy is offering a solution: the Custom trim package. So what’s the difference between the Tahoe LS and the new Tahoe Custom? Let’s explore that below. 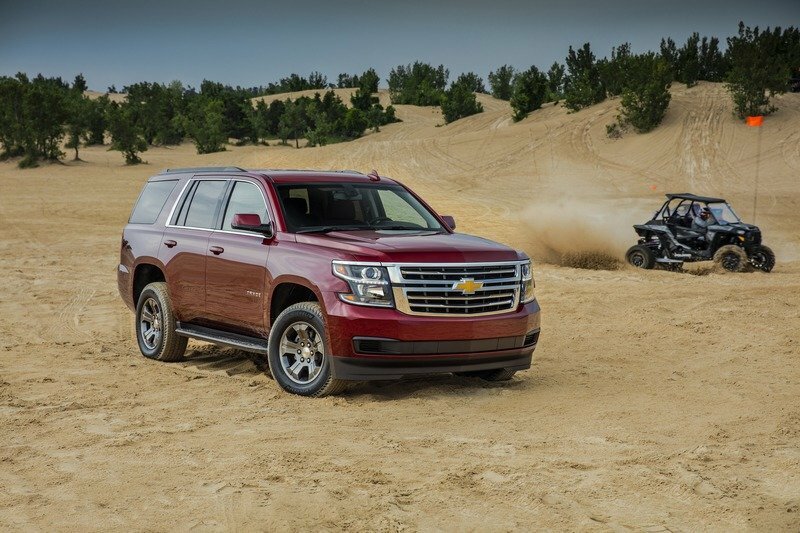 What Makes the 2018 Chevy Tahoe Custom Different? Note: Chevrolet Tahoe Custom pictured on the top, Chevrolet Tahoe Premier pictured on the bottom left, Chevrolet Tahoe Z71 pictured on the bottom right. Up front, the chrome grille is borrowed from the top-trim Tahoe Premier and comes with horizontal chrome slats that replace the black mesh in the LS’ grille. 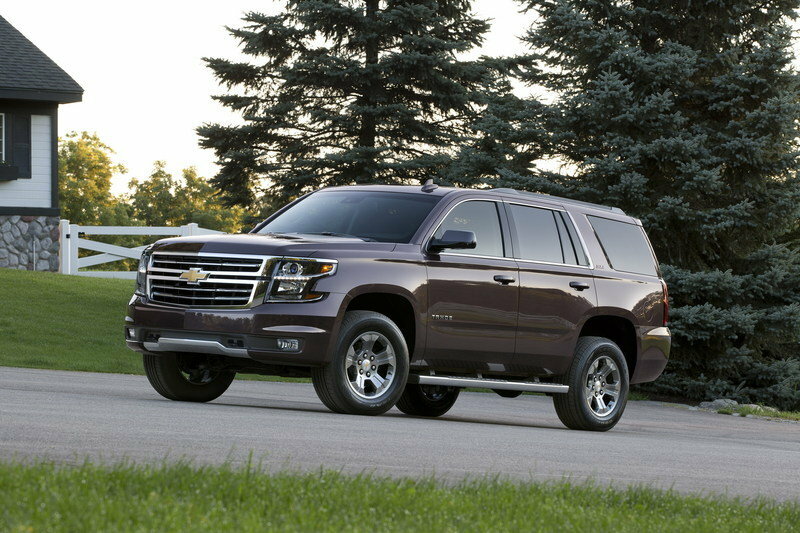 From the outside, the Tahoe Custom has a few slight differences compared to the standard LS trim. Up front, the chrome grille is borrowed from the top-trim Tahoe Premier and comes with horizontal chrome slats that replace the black mesh in the LS’ grille. This gives the Tahoe Custom a bit fancier look. The biggest difference is the addition of the 18-inch, five-spoke, gray wheels borrowed from the Tahoe Z71. They replace the 18-inch, chrome, 10-spoke wheels that come standard on the LS. The new wheels are also wrapped in Michelin all-terrain tires sized at P265/65R18 for a slightly more aggressive stance. The interior is where Chevy has cut at least one corner. The Tahoe Custom does not come with third-row seats – a standard feature in other Tahoe trims. Still, for those not needing the extra three seats, the Tahoe Custom offers seating for five and 54 cubic feet of cargo room behind the second row. With the second row folded flat, the Tahoe Custom can swallow 112 cubic feet of gear, which is more than the standard Tahoe’s 94.7 cubic-foot maximum. The dash comes with an eight-inch touch screen with the well-loved MyLink infotainment system. 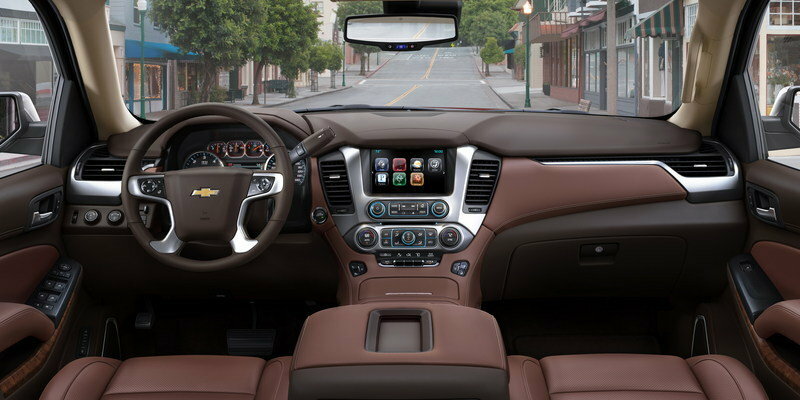 Besides the new seating arrangement, the Tahoe Custom comes standard with a barrage of desirable features. The dash comes with an eight-inch touch screen with the well-loved MyLink infotainment system. There’s Apple CarPlay and Android Auto, along with 4G LTE Wi-Fi connectivity, and a rear-view camera. Remote start and Chevy’s Teen Driver Mode are also standard. Charging devices is easy thanks to five USB ports and five power outlets, including a 110-volt household plug with the three-prong connection. One of the most family-friendly options is Chevy’s active safety suite known as the Enhanced Driver Alert Package. 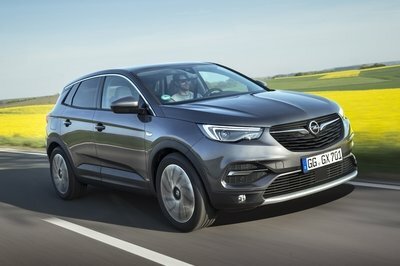 It includes Forward Collision Alert, the Safety Alert Driver Seat, IntelliBeam automatic high-beam headlights, Lane Keep Assist, and Low Speed Forward Automatic Braking. Chevy’s Rear Seat Reminder is standard, however. The 2018 Tahoe Custom comes standard with the 5.3-liter EcoTec3 V-8, six-speed automatic transmission, and rear-wheel drive. 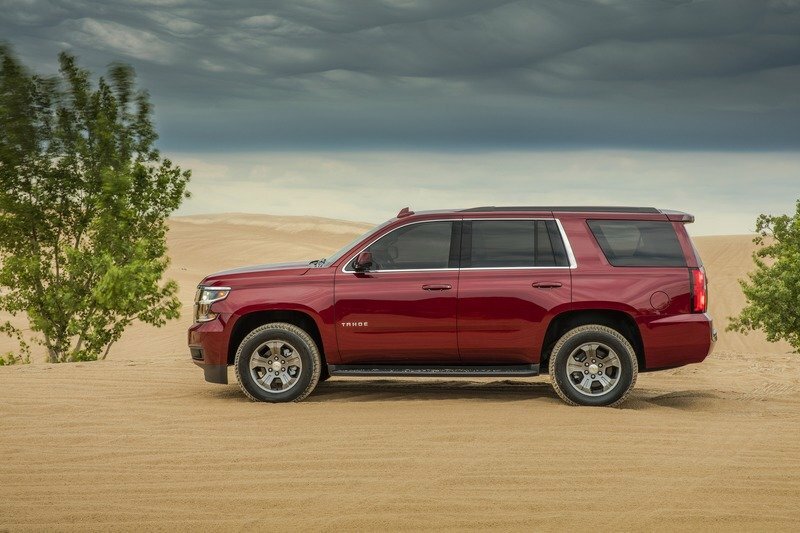 As for the mechanicals, the 2018 Tahoe Custom comes standard with the 5.3-liter EcoTec3 V-8, six-speed automatic transmission, and rear-wheel drive. 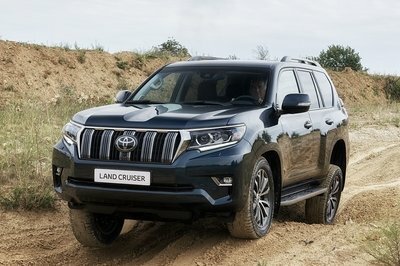 Customers can get 4WD, at an additional price, of course. 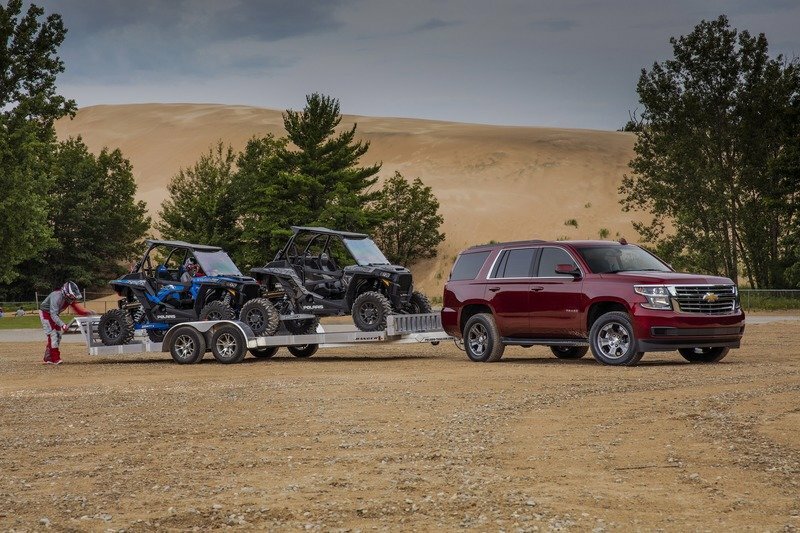 The Tahoe kicks out 355 horsepower and 383 pound-feet of torque, allowing it to tow up to 8,600 pounds with the Max Trailering Package. Without it, the Tahoe can still tow a 6,600-pound trailer. Transmission: Hydra-Matic 6L80 6-speed auto. The Tahoe isn’t completely terrible on fuel, either. That’s because the engine used variable valve timing, direct fuel injection, and GM’s Active Fuel Management, which shuts down four of the eight cylinders when the extra power isn’t needed. The Tahoe also uses active grille shutters to streamline its aerodynamics when the engine doesn’t need the entire grille for cooling like during highway cruising. The rear differential also uses a tall 3.08:1 gear ratio for better highway fuel economy. The RWD Tahoe is EPA-estimated to get 16 mpg city, 23 mpg highway, and 19 mpg combined. The 4WD model’s fuel economy drops slightly to 16/22/18 mpg. Added up, the Tahoe Custom’s price can crest above $49,520. Of course, that’s without diving into Chevy’s laundry list of dealer add-ons like floor mats, hitch mounts, roof rails, and other items. That represents a welcomed savings over the standard Tahoe LS and a huge savings over the $53,750 Tahoe LT and $63,435 Tahoe Premier. The 2018 Chevy Tahoe Custom Edition will arrive in showrooms in September 2017. 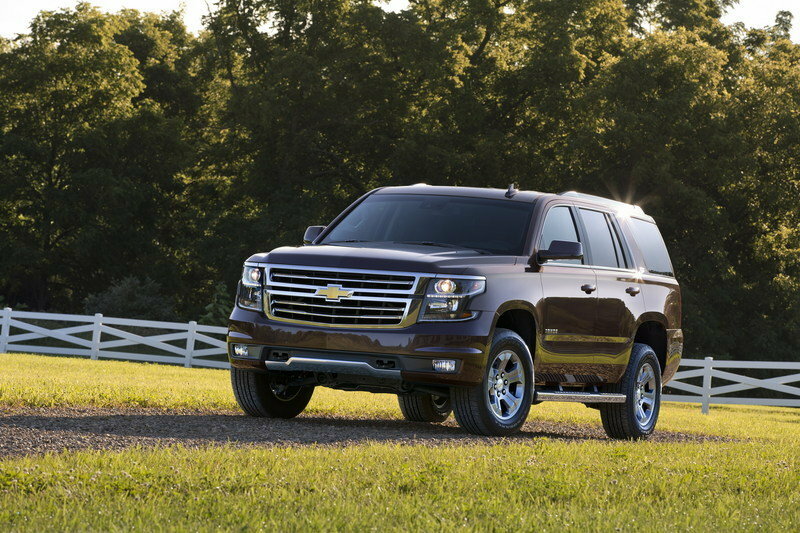 Read our full review on the Chevrolet Tahoe. Read our full review on the Chevrolet Tahoe Z71. 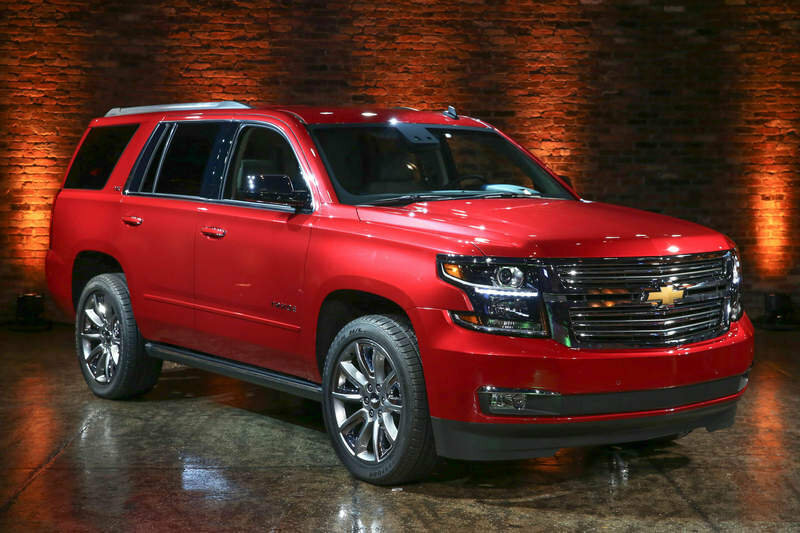 DETROIT — Today Chevrolet announced the new Tahoe Custom special edition for the 2018 model year. Like other Custom models, the Tahoe Custom is intended for buyers who want the uncompromised capability of Chevrolet trucks and SUVs in a great looking package at an outstanding value. 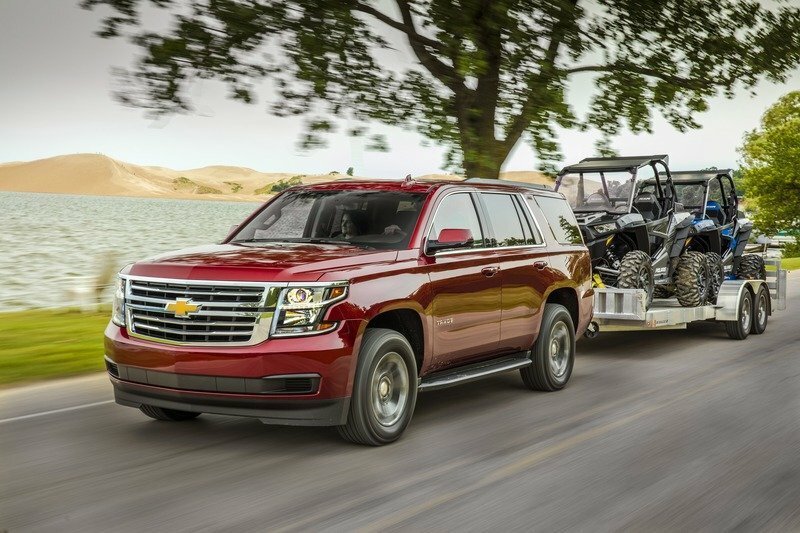 For $44,995, the 2018 Tahoe Custom comes standard with 6,600 pounds of towing capacity (up to 8,600 pounds of towing with max trailering package), a maximum of 112 cubic feet of cargo space and a 355-hp, 5.3L V-8 engine that delivers an expected segment-leading 23 mpg highway based on EPA estimates. The Tahoe Custom is based on the LS trim and adds 18-inch painted aluminum wheels, all-season tires and a chrome-accented grille. Plus, Tahoe Custom features a third-row seat that has been removed, increasing cargo space behind the second row to a substantial 54 cubic feet for added utility. - * Tahoe Custom will be available at Chevy dealers in September 2017.